A brand new development of only 7 detached bungalows, offering 2, 3 and 4 bedrooms all with garages, positioned on the southern edge of Clipstone affording delightful front views. 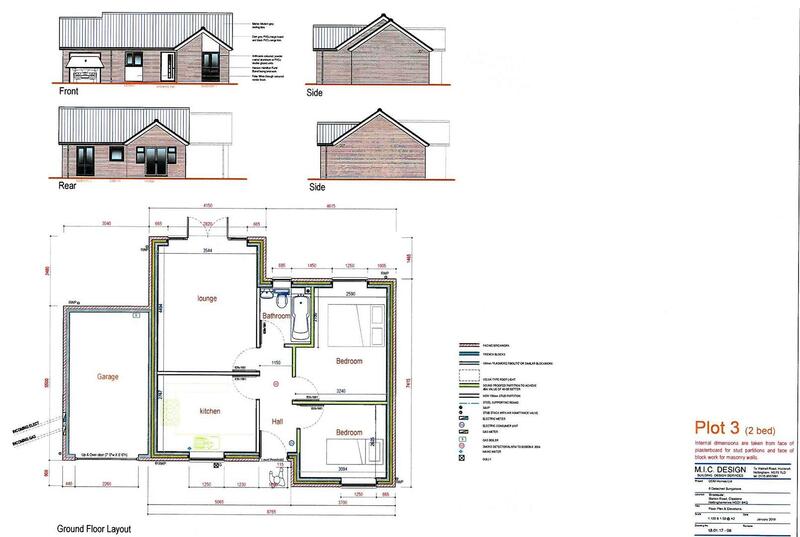 Currently under construction with completion for the 2 beds May 2019 and 4 beds August 2019, the bungalows are built to a high specification contemporary design with grey UPVC double glazing and gas central heating. Plot 2 - Two bedroom detached bungalow with accommodation comprising an L-shaped entrance hall, lounge and dining kitchen with French doors, two bedrooms and a family bathroom. The development is approached by a brand new shared private drive at the end of Station Road, positioned within walking distance to Vicar Water Country Park and affording delightful southerly front views. Plot 2 has a block paved driveway frontage, attached single garage and landscaping to the front and rear. Please note, plot 1 has already sold, and plots 6 & 7 are to be offered on phase 2 later this year. We are seeing an increase in demand for bungalows of this calibre, and early reservation is advised to avoid disappointment. For further information and to reserve a plot please call Alistair Smith, Director at Richard Watkinson and Partners on 07817 283 521.